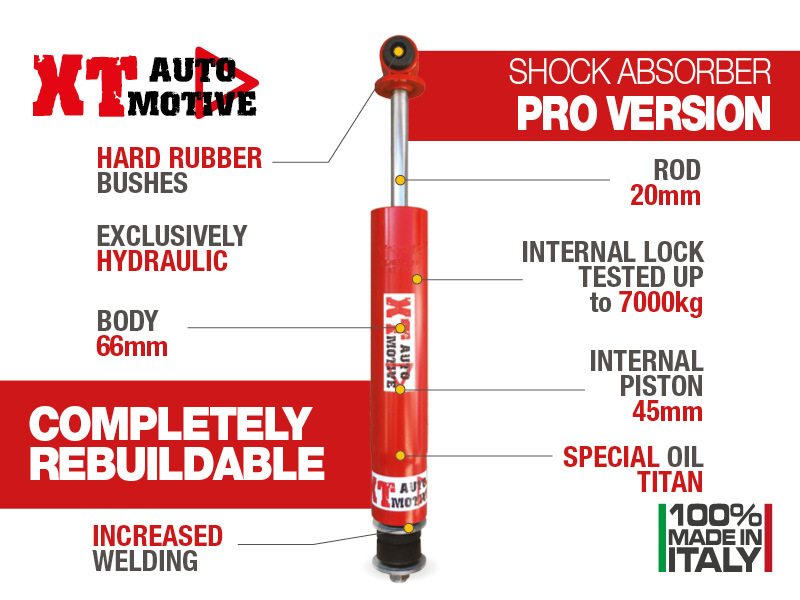 XT AUTOMOTIVE SHOCKS, MADE IN ITALY with the highest quality standards, iso9001:2000 certified. -45mm piston, this allow an oil quantity increased than other shocks, to not allow over temperatures and fading. -INTERNAL LOCK tested to 7000kg!...this LOCK prevents topping out! -REBUILDABLE!!! It's possibile rebuld it or change setting damper with rebuilding MADE IN ITALY!! !